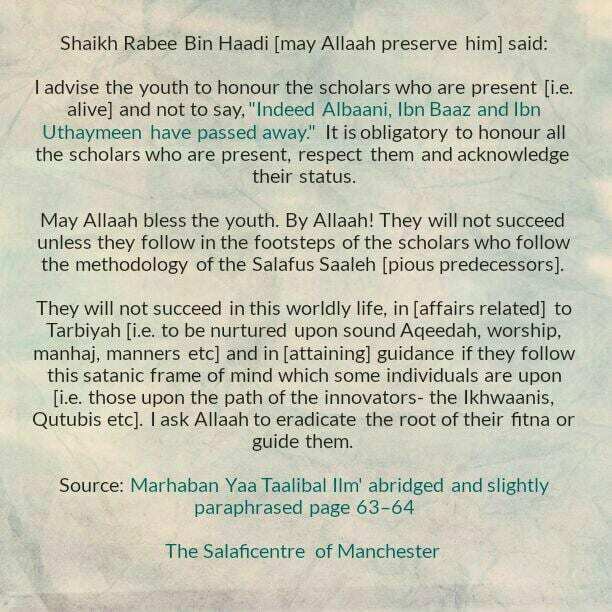 I advise the youth to honour the scholars who are present [i.e. alive] and not to say, “Indeed, Albaani, Ibn Baaz and Ibn Uthaymeen have passed away.” It is obligatory to honour all the scholars, respect them and acknowledge their status. May Allaah bless the youth. 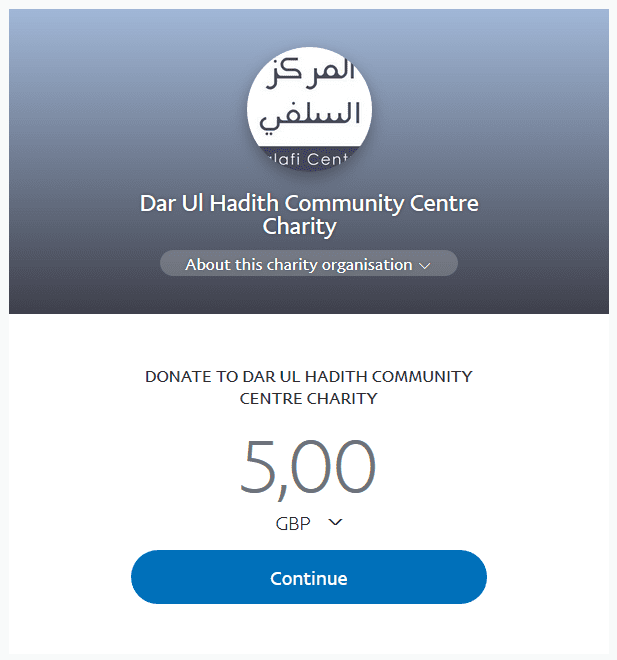 By Allaah! They will not succeed unless if they follow in the footsteps of the scholars who follow the methodology of the Salafus Saaleh [pious predecessors]. They will not succeed in this worldly life, in [affairs related] to Tarbiyah [i.e. raised upon sound Aqeedah, worship, manners etc] and in [attaining] guidance if they follow this satanic frame of mind which some individuals are upon [i.e. those upon the path of the innovators- the Ikhwaanis, Qutubis etc]. I ask Allaah to eradicate the root of their fitna or guide them.